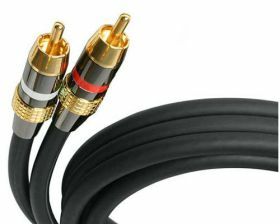 Get gold-star performance with StarTech.com’s premium RCA audio cables. Our gold-plated audio cables are specifically designed to provide the smoothest, clearest audio for your home theatre system. You get maximum performance and reliability, backed by StarTech.com quality. - Gold plated Premium RCA audio cable designed for today’s audio and home theater applications. 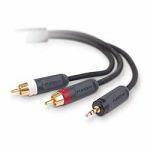 - High resolution RCA Cable offers the most accurate audio signal transfer for maximum audio clarity and resolution. - Color coded connectors for easy installation. 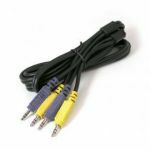 - Connect equipments with RCA audio jacks to televisions, projectors and other video equipments with RCA input jacks. 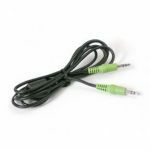 - Connectors provide excellent strain relief that keeps your cable intact. - Gold plated heavy duty connectors. - High resolution, low loss Audio delivers the clearest and smoothest sound from your audio/video device. - Ultra flexible PVC Jacket for easy installation.